Professor McGorry has published over 400 peer-reviewed papers and reviews, over 50 book chapters, and has edited 6 books. He is a Fellow of the Academy of the Social Sciences in Australia and has been the recipient of numerous awards, including the Australian Government Centenary Medal in 2003, the Founders’ Medal of the Australian Society for Psychiatric Research in 2001 and he was the 2010 Australian of the Year. 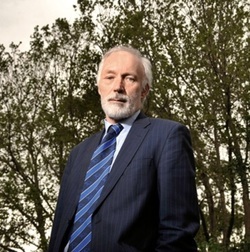 Prof McGorry serves as Editor-in-Chief of Early Intervention in Psychiatry and is a founding board member of the Australian National Youth Mental Health Foundation: headspace, of Headstrong; the National Youth Mental Health Foundation of Ireland, and past-president and treasurer of the International Early Psychosis Association. He has been a member of the National Advisory Group on Mental Health Reform for the Federal Government and of the Victorian Mental Health Reform Council.